The rising prevalence of fire accidents and disaster has generated huge demand for fire safety garments. Ongoing development to develop high-end garments to withstand flame is again pushing the market demand. The growing need of protective environment in hazardous locations to ensure workers’ safety across chemical, oil & gas, mining, defense, and manufacturing industries is again contributing the market growth. The latest report by Value Market Research expects the Global Flame Resistant Fabric Market to reach USD 6 billion by 2025. It was valued USD 4 billion in 2018. The report foresees a 6% CAGR from 2019 to 2025. In 2018, treated fire resistant fabric dominated the product segment. The chemically treated fabric is gaining importance on account of relatively cheaper, comfortable, lightweight, high impact resistance fabric. Ongoing advancement to increase the durability of chemically treated FR fabrics is projected to boost its application across various industries. Industrial protective clothing emerged as the leading application segment in 2018 by accounting largest market share. Rising demand for protective apparel/ clothing from oil & gas, mining, construction, transportation and other industries to impart fire safety is boosting the segment growth. Also, governmental mandates on the usage of fire-resistant clothes at industrial locations prone to fire accidents are further pushing the market growth in the industrial sector. Geographically, Europe has emerged as the leading regional market in the year 2018. Stringent regulation imposed by the government has driven the market growth in Europe. Robust demand for production range of fire resistant garments especially from Greece and Italy is further pushing the regional market growth. Carrington Workwear Ltd, DuPont, Klopman International S.R.L., Lenzing AG, Marina Textil S.L., Milliken & Company, Mount Vernon Mills, Inc., SSM Industries Inc., TenCate, and WL Gore & Associates Inc are some of the major players of the flame resistant fabric market. 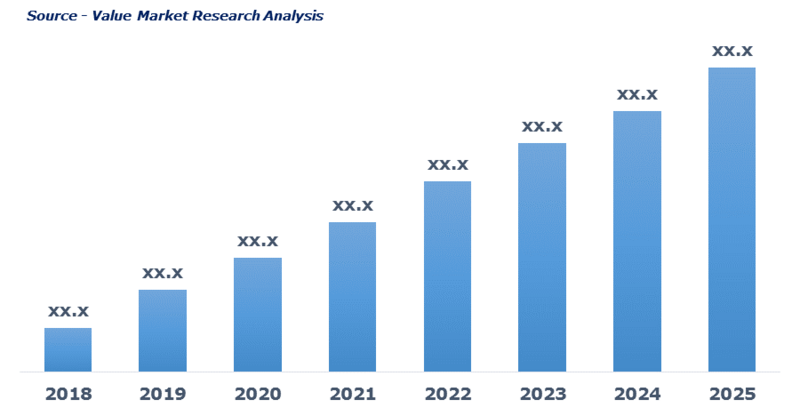 As per this study the Global Flame Resistant Fabrics Market was valued USD 4 BN (by revenue) in 2018 and is anticipated to reach USD 6 BN by 2025 with a CAGR of 6%. Flame resistant fabrics are textiles that possess flame resistance properties is used to manufacture apparels, furnishing, and garments for protecting labors working across industries such as construction and infrastructure, oil & gas, mining, military, and chemical. These fabrics are utilized as fire barriers, as it is manufactured from protective clothing to offer protection and safety to workers against direct and indirect exposure to fire and electric arc. Flame resistant fabrics are textiles that have excellent fire-retardant properties in comparison to other fabrics due to its chemically treated fireproof fabrics which are basically produced from synthetic fibers and natural fibers. Rising demand for flame resistant fabric is owing to stringent industries regulation for workers protection and maintains safety at the workplace, is driving the overall flame resistant fabric market growth. Rising demand across home and commercial furnishing industry are further uplifting the demand of fire-resistant fabrics. Rising production of Industrial protective and mining clothing is again expected to fuel the industry expansion. Increasing safety and security regulations by the government are projected to create new growth opportunities for the market in the near future. This detailed market study is centered on the data obtained from multiple sources and is analyzed using numerous tools including porter’s five forces analysis, market attractiveness analysis and value chain analysis. These tools are employed to gain insights of the potential value of the market facilitating the business strategists with the latest growth opportunities. Additionally, these tools also provide a detailed analysis of each application/product segment in the global market of flame resistant fabrics. The broad flame resistant fabrics market has been sub-grouped into product and application. The report studies these subsets with respect to the geographical segmentation. The strategists can gain a detailed insight and devise appropriate strategies to target specific market. This detail will lead to a focused approach leading to identification of better opportunities. Furthermore, the report comprises of the geographical segmentation which mainly focuses on current and forecast demand for flame resistant fabrics in North America, Europe, Asia Pacific, Latin America, and Middle East & Africa. The report further focuses on demand for individual application segments in all the regions. The report also covers detailed competitive landscape including company profiles of key players operating in the global market. The key players in the flame resistant fabrics market includes Carrington Workwear Ltd, DuPont, Klopman International S.R.L., Lenzing AG, Marina Textil S.L., Milliken & Company, Mount Vernon Mills, Inc., SSM Industries Inc., TenCate, and WL Gore & Associates Inc. An in-depth view of the competitive outlook includes future capacities, key mergers & acquisitions, financial overview, partnerships, collaborations, new product launches, new product developments and other developments with information in terms of H.Q.